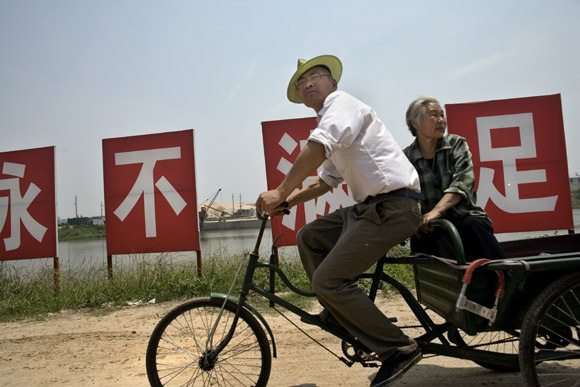 A couple rides along a river outside Jiangning, Jiangsu Province, China. I’ll be traveling to rural Gansu Province, China, for the next week or so. I’ll be checking email sporadically, but I can be reached at my Chinese mobile phone: +86-13770324102.